A 39-year-old Kenyan lady with no history of chronic illness, presented to ED with crushing chest pain of 30 min duration. ECG showed ST elevation in the anterior leads. She was given 300 mg aspirin, 600 mg clopidogrel and 5000 units of unfractionated heparin bolus. 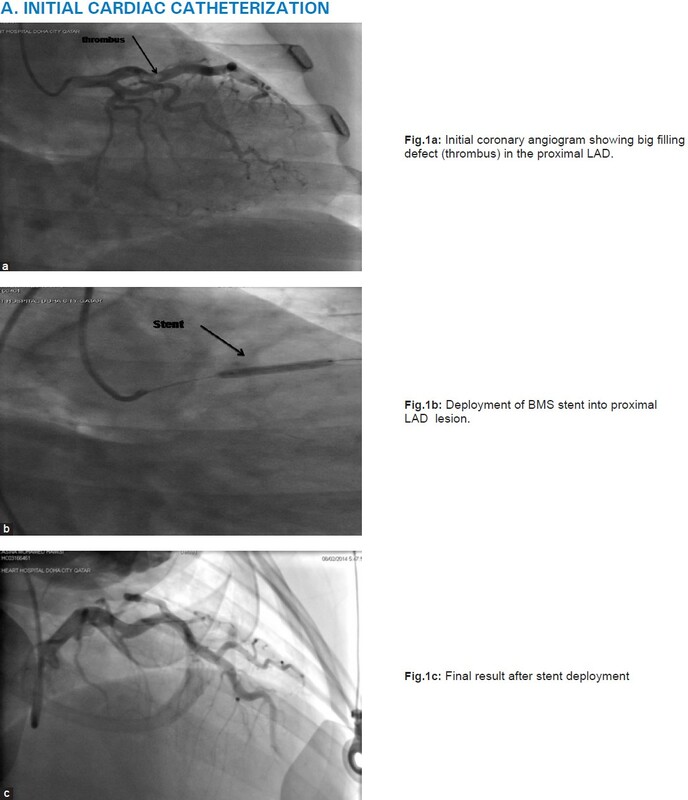 Primary PCI with stenting of proximal LAD was done [[Figure 1]a-c]. During procedure patient received 8000 units of UH, keeping ACT around 300 350. She was loaded with 180 mcg/ kg integrilin throughout the procedure and for 18 hours afterward. The chest pain subsided and ST segment showed complete resolution. Two days later, the patient developed sudden severe chest pain and vomiting. ECG showed new ST segment elevation in the anterior leads and she was taken urgently to cardiac catheteri-zation laboratory where another stent was implanted over the old stent in the LAD [[Figure 2]a - d]. Acute stent thrombosis remains a serious complication in coronary intervention especially in the setting of primary PCI for ST-elevation myocardial infarction. In such setting, the incidence rate goes up from 0.3% in elective PCI to 3.3% which is attributed to both patients and procedural factors. Due to the systemic adrenergic effect during PPCI, epicardial coronary vasoconstriction can lead to underestimation of the culprit vessel diameter with subsequent implantation of undersized stent. 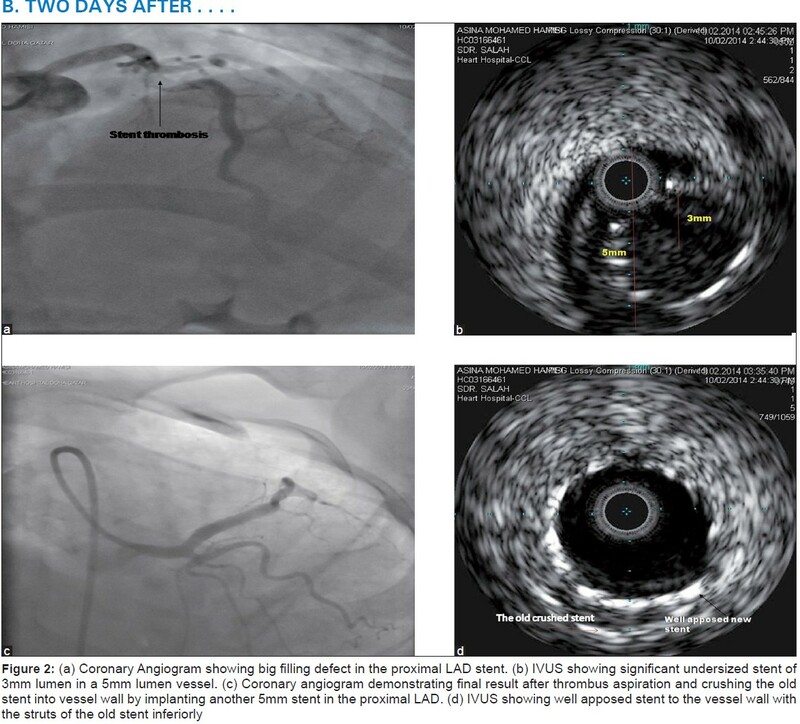 Furthermore, dissolution of the thrombus after stenting, can lead to malposition of the stent.